Being a nurturing parent means adjusting your child’s behaviors, not trying to change them. In other words, change the behavior, not the child. I get excited when my son makes a mistake because it gives me the opportunity to teach him, which is what parenting is all about. Address your child’s mistakes in a nurturing way to help them learn and grow without feeling bad about themselves. Let your child know that everyone makes mistakes. Don’t get angry at them when they make a mistake but take the time to explain how they can do better next time. Look at it as a time to help your child improve so they can feel good about who they are. The most important thing is to let them know that mistakes are okay. Every child has behavioral weaknesses. Some get mad when they don’t win and physically show their anger by acting out. Others are very sensitive and cry every time they are disappointed or sad. From one end of the spectrum to the other, your child will have a range of emotions. The first key to redefining your child’s behavior is to redefine your perspective. For example, you may think that the only thing you can do to alleviate your child acting like a poor sport is to remove them from situations that trigger these behaviors, like eliminating sports from their schedule. Or, if your child cries at the drop of the hat, you may decide that they should not participate in situations where they may cry yet another time. This perspective focuses on the child and not the behavior. Instead, turn your attention to what their behavior really means and create a course of action that helps them funnel their personalities and behaviors in a more positive and productive way, which begins with nourishing and not negating their innate passions and skills. If you look ahead to a scenario in the future, you can see how a child who was identified as bull-headed or a bad sport might use that passion and fire that drove him to want to be the best into becoming an amazing CEO of a company, dedicated and committed to being the very best. Or, the child who cries a lot may become an adult of compassion and empathy, a caring parent, and a person who wants to change the world for the better. None of this can happen if their behaviors are stifled instead of explored. Try not to stifle the passions and emotions that make your child who they are. Instead, consider how you can help them modify their behaviors so that their passions and innate talents are nourished as they grow. This requires providing ways that they can be who they are through positive reinforcement of who they already are, which ultimately helps them become thriving and successful adults. So, how do we get from here to there, from the spoiled brat to a successful CEO, for instance; or, from crybaby to the caring parent and teacher? The key is to point their behavior in the right direction. The best way to deal with your child’s behaviors is to turn them into strengths. For the child who gets upset when he loses, you might adjust their behavior by saying, “I love that passion that you have, but let’s work together on other ways you can express that passion and desire to others” instead of the common “If you do that again, you’re out” mindset. 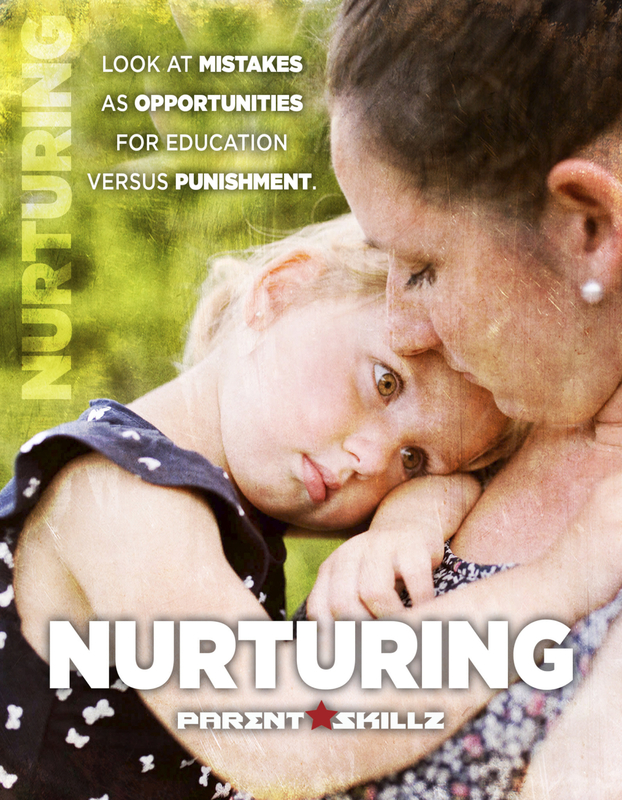 Remember, nurturing means changing the behavior, not the child. No child is born with a proper sense of good behavior. Just like adults, they make mistakes and that is how they learn. Make sure to look at their mistakes as opportunities for education versus punishment. The moral of the story is that when you look at your child, don’t focus on their behaviors. Instead, see the child who will one day use their passion to become an amazing adult one day. See them as an amazing CEO or a person who is going to change the world for the better one day, and go from there. I hope you found this blog informative!